Burn Fat And Build Shape With Strength Training! Watch your diet to reveal your shape, and strength train to improve that shape. This is classic advice, but many of us have a hard time putting it into practice. Coach Nick Tumminello is here to help! Among coaches and trainers, Nick Tumminello is known as a tireless innovator who's always got a unique tweak or cue to make any movement more effective. To the rest of us, he's more likely "Coach Nick," the face and voice in hundreds of online videos personally displaying those tweaks. On his prolific "Performance University" YouTube channel, and in his articles for Bodybuilding.com and other sites, Tumminello serves up an endless array of inspired progressions, explanations, and errors customized for fighters, bodybuilders, and every athlete in between. 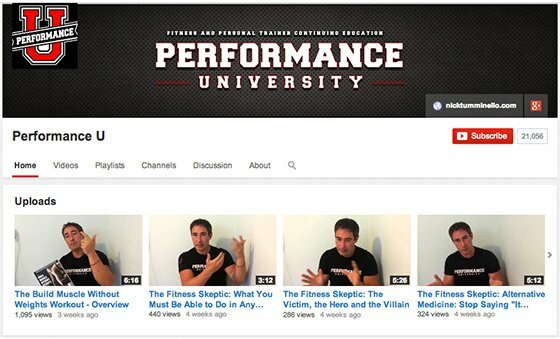 If your PT has ever wanted to show you a better way to do what you're doing, chances are he or she sent you one of Tumminello's videos. Now the veteran trainer has released his first book, "Strength Training for Fat Loss," which turns traditional cardio-heavy fat-loss protocols on their heads in favor of programming built around what Tumminello calls the "three Cs" of circuits, complexes, and combinations. After its release, he gave us some straight talk about what works, and what doesn't, when it comes to losing bodily baggage. Obesity is still on the rise; clearly, the status quo isn't working. 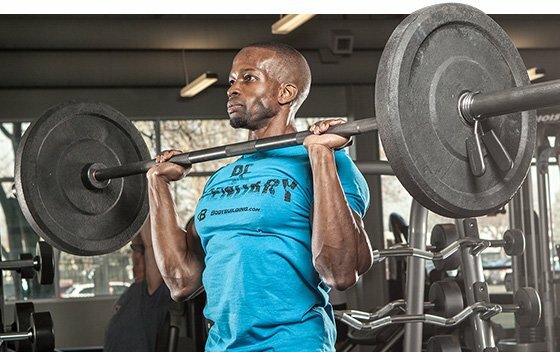 Why is strength training the answer? Many say—and they're right—that the answer to the obesity epidemic is to take more personal responsibility for our lifestyles. But it's not that simple. Many people who are attempting to take more personal responsibility end up paralyzed by all of the confusion created by infomercials, conflicting information, fad diets, and complex industry jargon. When it comes to fat loss, the "status quo" is often thought to be about emphasizing cardio exercise over strength training. The problem is, the benefits of steady-state cardio training from a fat-loss perspective are often misunderstood and overstated. Take the often-cited 2012 study from the "Journal of Applied Physiology" which looked at the effects of aerobic and resistance training on body mass and fat mass in overweight or obese adults. It concluded that "a program of combined aerobic training and resistance training did not result in significantly more fat mass or body mass reductions over aerobic training alone." Of course, these results made the rounds in the media, attached with the claim that "cardio is better for fat loss than weight training." But the reason why cardio works faster than weight training in these short-term studies isn't because it holds special powers over strength training. It's simply because cardio burns more calories during the workout than strength training. Once you're done with that cardio, though, you're more or less done burning. 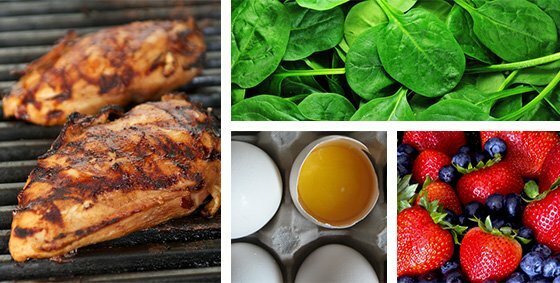 It's been well established in research that fat loss comes from burning more calories than you consume. So, instead of spending your extra time doing cardio to burn, let's say, 300 calories, you could simply cut 300 calories out of your diet each day and end up with the same results without having to bother with cardio. In other words, you essentially eliminate the need for doing cardio—from a fat loss perspective—when you simply eat fewer calories to create a deficit. But there's one more wrinkle: Most of us, men and women both, don't just want a "lean" physique. We want a lean, strong, and athletic-looking physique, because being lean without any muscle just makes you look skinny and frail. In order to achieve the "strong and athletic looking" part, you must do resistance training. The researchers in the study I discussed above also concluded that a program including resistance training is necessary for increasing and maintaining lean muscle. My goal is to empower people to see through confusion and learn to separate the sense from the nonsense. It comes down to this: Watch your diet to reveal your shape, and strength train to improve that shape. You wrote a 250-plus page book about fat loss, and less than 10 pages are about diet. How can that be? Is everyone that wrong? From a fat-loss perspective, there are basically two types of books: nutrition books and diet books. The problem with the most nutrition books is that although they're often based in solid science, they're difficult to understand and rarely provide more practical eating knowledge because they're written like textbooks. Diet books, on the other hand, are often written in a more consumer-friendly style, but they're based on pseudoscientific fads that come and go like clothing styles. Further complicating things, these fads diets often make mutually incompatible claims as to which foods make us fat and which don't, and about which types foods cause disease and which they claim to "prevent" disease. What's allowed in one is totally forbidden in another. It's no wonder these diets never seem to gain any credibility among the legitimate medical and scientific community. If these diets worked as advertised, the people who came up with them would get the Nobel Prize and their methods would become standard practice in medicine and nutrition. All of these different types of fad diets take an extreme approach to problems that can be solved with proven principles of nutrition and good old moderation. Enough said. I don't recall seeing the word "scale" in your book. Break down the difference between "weight loss" and "fat loss," as it applies to someone fresh off their "before" picture. There's weight loss and there's fat loss. When people say they want to lose weight, they mean they want to lose fat, because you certainly don't want to lose muscle. Muscle is only our most metabolically active tissue, meaning it's the physical location in your body where fat is burned. The more of it you have, the more you burn. So, as I said in my article Strong Vs Toned: The Truth About Gender-Specific Workouts, when women talk about "toning," "enhancing," or "shaping" certain areas of their body, what they're really talking about is muscle. You can't build a perkier, rounder, or sexier anything without building muscle. Anyone who says otherwise either has no clue about basic human physiology, or is making false promises in order to separate you from your money. Additionally, it's possible to lose weight but not necessarily lose fat. This is what often happens when someone cuts out carbohydrates from their diet. Your body converts carbs more readily into glucose than into protein or fat. Glucose is stored in the blood, muscles, and liver as glycogen. 1 gram of glycogen holds approximately 3 grams of water. It's no wonder why people who cut carbs lose so much weight so fast. Glycogen holds three times its weight in water! It's likely that they lost mostly water weight. This is why only using the scale to gauge your progress is a bad idea: The scale doesn't know the difference between muscle and water. Say I'm overweight, fed up, and totally discouraged. What's step one? Embrace the fact that no one is perfect, and neither are the typical situations life throws at us through work, travel, and family responsibilities. The problem most people have with diet and exercise is follow-through, and that's because they give themselves unrealistic diet restrictions and try to change their entire lifestyle overnight. All that does is set them up for failure, giving them the impression that "I've tried everything, and I can't do it." So, step one is to take one step at a time. I don't expect every meal you eat to be perfect, and neither should you! I would begin with trying to use simple eating strategies, aiming to do better than you've done before. "I would begin with trying to use simple eating strategies, aiming to do better than you've done before." From a nutritional perspective, the research to date has shown that there are multiple dietary approaches which work. So what's the most important factor to determine fat loss and improved health outcomes? Adherence. Choosing a diet plan you can stick with is crucial. Diets should be individualized, taking into account lifestyle habits, medical history, and food preferences. For example: We all have high-fat, high-calorie foods we love to eat. If you want to keep your sanity and sustain your healthy eating, you have to eat those not-so-healthy foods you love every once in a while. My advice is to follow the 85/15 rule. This means that if 85 percent of the time you eat in the way I've described in the book, then 15 percent of time you can eat whatever you want. In real-world terms, that's about one in every seven meals. And, if you eat 3-4 meals per day, that's one of your meals every two days. That's how moderation works, and that's how you do a no-diet diet. Your book focuses on "metabolic strength training" as the way to lose fat and build muscle. What does that style of training entail? Circuits: Sequences involving multiple exercises performed back-to-back. I prefer "big circuits," which are 3, 4, or 5 compound exercises with heavier loads. Complexes: Full-body circuits using the same piece of equipment. Combinations: Multiple strength movements blended together seamlessly to create one exercise. All three of these can be performed with everything from barbells to dumbbells, kettlebells, medicine balls, stability balls, resistance bands, and cables. I devote an entire chapter to how they can be done bodyweight training alone. "Bodybuilding is great for maximizing muscle hypertrophy—i.e., size—but for the average individual looking for fat loss, or to feel better, or to improve general fitness, my approach to resistance training creates more of a metabolic disturbance both during and after the workout." They involve the entire body. They demand extended repetitive effort. These three principles make scientific sense, and also common sense. You don't have to be an exercise scientist to see how the combination of these three factors will burn calories, both during and after a workout. Done right, they'll be super-effective for losing fat while helping to maintain—and even build—muscle. After a dynamic warm-up, perform as many rounds as possible in 8 minutes. Then rest 3-4 minutes. Perform 4-5 rounds, resting 2-3 min. between sets. Perform 1 round of each exercise in order. Rest 30 sec., switch sides, and perform again. Rest 2-3 min between rounds, 2-3 rounds total. 2-3 sets of 12-15 reps, rest 60 sec. I'm not trying to convince you to quit running or cycling, especially if you enjoy these activities. My goal is to inform you of their limitations and risks, issues I cover in the book. Metabolic strength training provides a tremendous metabolic training effect without the impact on your joints that comes from running or jogging. Additionally, the workout protocols are designed to fight the negative effects of sitting—like when cycling—by training your muscles in more athletic postures and dynamic movements. This style of training is more interesting and less monotonous than just doing the same repetitive activity at the same pace for an extended length of time, which can be the case for both bodybuilding and cardio. Complexes, circuits, and combinations might be what you need to stay mentally engaged and look forward to every workout. The kettlebell isn't just for fat-burning. It's a strength-builder that some of the world's mightiest lifters swear by. Hear the case for it from the man who brought it over from Russia!